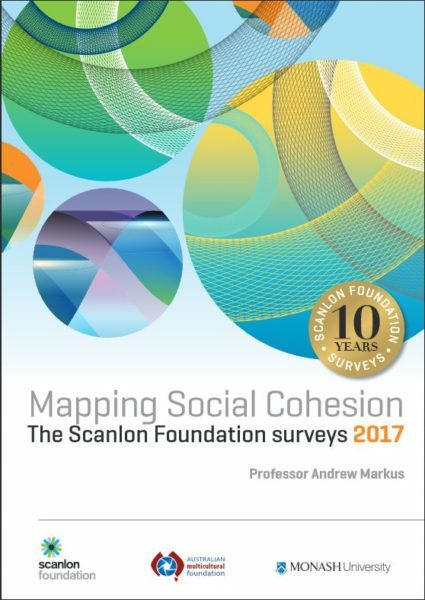 Offering a wealth of data on our multicultural society, the Scanlon Foundation recently released its Mapping Social Cohesion report. Over 70% of respondents supported a reduction to immigration in the early 1990s, but since 2000, most surveys indicate that support has become the majority viewpoint. The research builds on the knowledge gained through the nine earlier Scanlon Foundation national surveys in 2007 and 2009-2016, which provide the first series of detailed surveys on social cohesion, immigration and population issues. Or check out the findings on the survey’s microsite. Find this report and more resources and research on diverse arts on the Resources section of our website.